The price of both oil and gasoline have risen dramatically in the past month. The prices were too high to begin with and the increases are rubbing Americans the wrong way. Just about everywhere in the nation, gas is over four dollars per gallon, even for regular gasoline. The problems stem from the fact that the oil and gas we use on a daily basis comes from overseas. As a result, the American government is fairly limited on what they can do in order to make sure that prices do not rise too high. Much like with every other issue that has come up since he became the Head of State, President Barack Obama is looking to cut the American dependency on foreign oil drastically. Obama has set the year 2025 as the goal year for the amount of oil imported from overseas to be cut back by 33%. The president is looking to accomplish this vital task a few different ways. 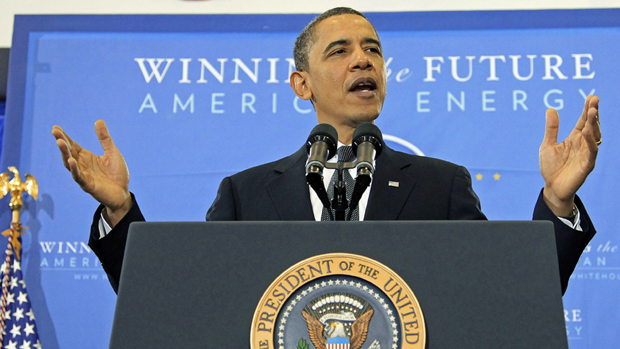 Obama is looking at Americans to use fuel more conservatively and for companies to waste less. He is also looking to raise the rate of American oil production. He wants buses and trucks to use more natural gas, which Obama plans to provide via the construction of biofuel refineries over the course of the next twenty-four months. Other measures Obama is taking include changes to the auto industry. Obama is going to set higher standards for the automotive industry in terms of fuel efficiency. The current goal stands at 36 mpg by the year 2016. Also, as evidenced by recent government investments, the implementation of more electric cars is set to increase in the coming years. He then made it clear that “there are no quick fixes,” but that the United States will continue to work to improve the situation. The oil problem seems to be one of the most overlooked issues facing the United States today. For as long as we can remember, we have always had and used oil and gas and we have had plenty of it. We seem to not realize that one day there will in fact be none left. Obama wants to make sure that when that day comes, we are not left without a plan B.